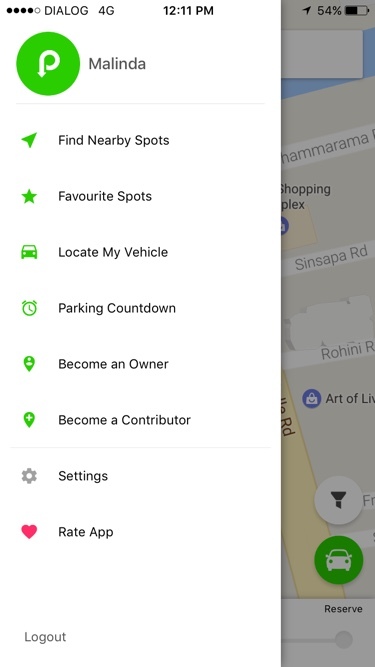 ParkMeApp helps you find parking spots nearby your location in just a matter of seconds. 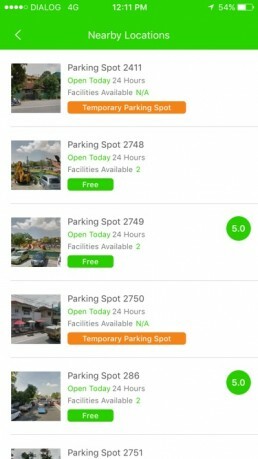 A ParkMeApp helps you find parking spots nearby your location in just a matter of seconds. When you’re stranded or feeling lost in someplace you’re not so familiar with, ParkMeApp has your back. ParkMeApp has been completed with this feature to ensure that the users get the best possible quality service they can get. It’s important for you to use this feature to maximize productivity and efficiency. The ultimate goal of this application is to support our customers whenever they want, wherever they may be. 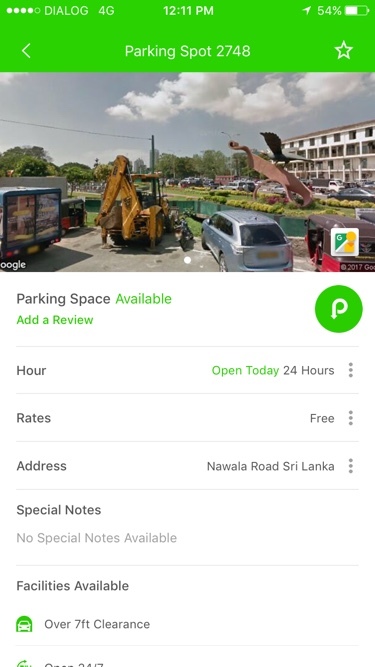 Whichever part of Sri Lanka you’re located in, ParkMeApp will help you find parking spots that are nearest to you. ParkMeApp delivers a commendable service all throughout the island for you. Your choices will be filtered according to the price and availability for your ease. First go to the drop down list on the left hand corner and click on to this feature or you can straightaway run a search for a parking spot nearby. The next thing you know, you’ll be presented with a list of parking spots near your current location. The name of the parking spot, the price or whether it’s for free, availability and the working hours will be showcased to you. If interested, you can explore and find out more about these spots. Pick what you think would be the cheapest and wisest choice and go for it! Making a good choice means that you make it based on rationality any information. Picking the spot nearest to you will not only help you with saving time, but will also enhance your productivity and create a positive mentality when it comes to getting your daily to-do list completed.